The Florida Department of Transportation (FDOT) District Six Transportation Systems Management and Operations (TSM&O) staff received three Prudential Productivity Awards for their efforts at the SunGuide Transportation Management Center. 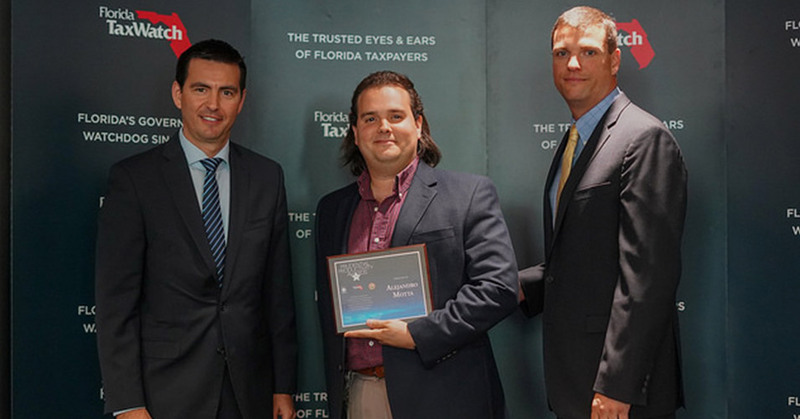 Alejandro Motta and Rodney Carrero-Vila were recognized by the the Florida Tax Watch Organization at their annual luncheon held in Fort Lauderdale in July. Alejandro was recognized for implementing an automated inventory checklist to track ITS program devices and for creating a procedure that identifies missing 95 Express Lanes Markers (ELM) through a cost-effective video verification process. Rodney was recognized for improving the ITS Maintenance Calendar Module by adding an e-mail alert system to reduce redundancy on preventive maintenance ticket items. 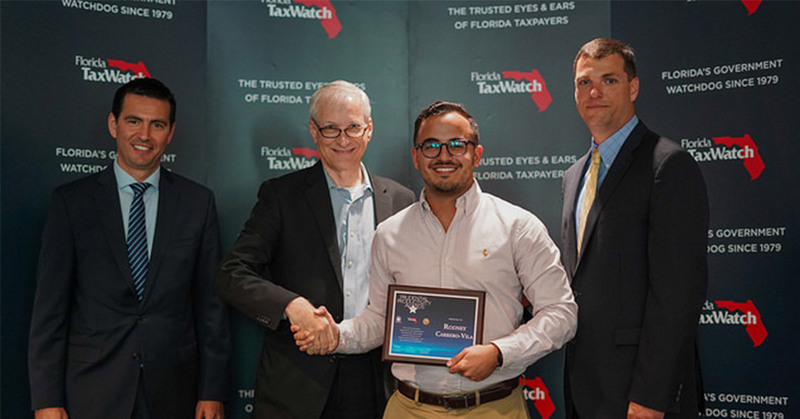 Prudential Productivity Awards are organized by Florida TaxWatch; an independent, nonpartisan, nonprofit taxpayer research institute located in Tallahassee, Florida. They recognize state employees for successfully implementing projects that are helping Florida taxpayers save time and money. 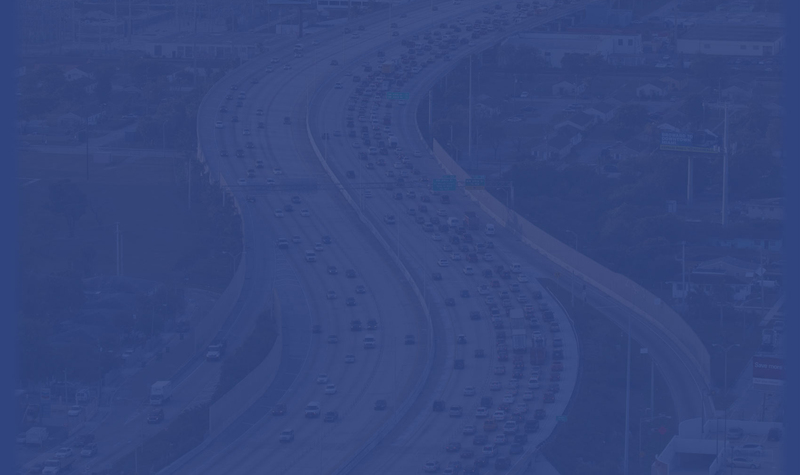 The FDOT District Six TSM&O Office is committed to identifying ways to improve existing operations and provide the motoring public with a safe and efficient regional transportation system. For more information about Florida TaxWatch, please click here.